All images by Evan Narcisse unless otherwise stated. The original dynamic duo strikes again! Dr. Doom succeeds in ensuring the latest reboot never happened. So I creep, yeah, just keep it on the down low. Stargirl and and gender-swapped Wonder Woman up the cuteness factor. 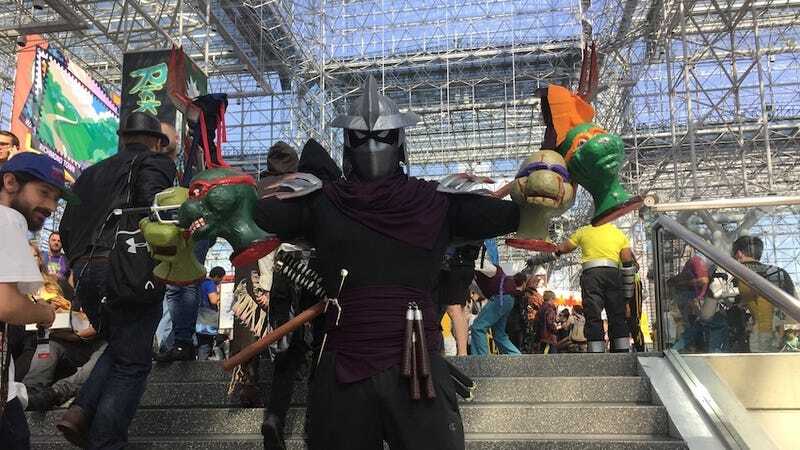 Man, Shredder’s going dark for the next Michael Bay film. Guys it’s Deadpool so it makes sense. Don’t one-punch the camera, please. Penguin’s too busy running for mayor to pose. Lex, did you kill Superman? Midna and Tingle providing support. Furiosa would eat Jared Leto’s Joker for breakfast. Update: Fixed captions based on user suggestion.